Husband-and-wife team Cynthia and Sanford Levinson take readers back to the creation of this historic document and discuss how contemporary problems were first introduced--then they offer possible solutions. Think Electoral College, gerrymandering, even the Senate. Many of us take these features in our system for granted. But they came about through haggling in an overheated room in 1787, and we're still experiencing the ramifications. Each chapter in this timely and thoughtful exploration of the Constitution's creation begins with a story--all but one of them true--that connects directly back to a section of the document that forms the basis of our society and government. 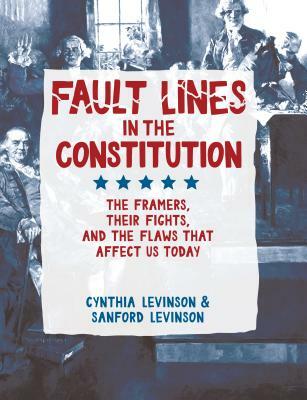 From the award-winning team, Cynthia Levinson, children's book author, and Sanford Levinson, constitutional law scholar, Fault Lines in the Constitution will encourage exploration and discussion from young and old readers alike.